Both heart-pounding and intelligent, this dystopian thriller has the best of both worlds. Darin Bradley’s science fiction novel, Chimpanzee, ties together philosophical theories of the self with a commentary on education and the economy, all in the package of a compelling psychological thriller. This intellectual book provokes thought on the power of language and knowledge, and the message is brilliantly delivered through a fast-paced dystopian story of simulation goggles that allow for new personae and college loans with disastrous consequences if repayment is late. The narrator, English professor Benjamin Cade, enters into repossession therapy after he defaults on his student loans, and he is oddly resigned to his fate of losing much of the knowledge he gained in graduate school. He knows there’s nothing much he can do but attempt to teach others what he knows before his mind is reclaimed, starting a class in the park. But a mysterious movement begins as rebels in chimp masks start riots and protests, and soon the authorities see Ben and his class as a threat. Bradley holds a PhD in English literature and theory, and his understanding of the philosophical and syntactical purposes of language is clear in this novel. He explores how words and knowledge form the self, both through the story of Cade and through the use of rhetorical elements. For instance, short flashbacks are inserted throughout the book, with more and more blank spaces appearing in dialogue as Cade’s repossession therapy progresses. These scenes show that Cade is losing more than just didactic knowledge learned from classes; his perspective on his experiences and how they fit into his life is shifting, changing his sense of self and how he sees how his memories fit into the grander scheme of his life. Also, the oft-repeated refrain “It’s important to remember that I love my wife” alternates in meaning between Cade’s defense to the audience and a reminder to himself. While Bradley probes the purpose of education, literature, and language, he also develops a unique and compelling thriller with science-fiction elements that is as entertaining as it is thought provoking. 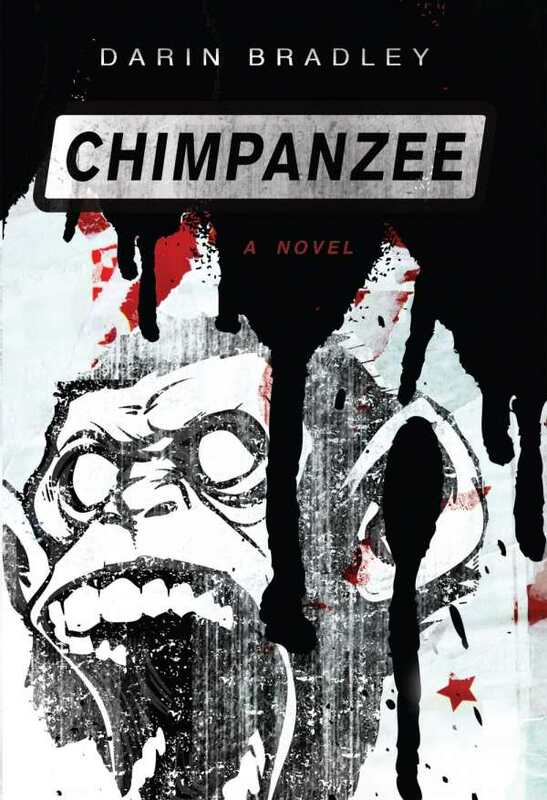 The ever-increasing suspense as the repossession therapists, government, and protest group Chimpanzee amp up their use of violence and surveillance makes the pages turn swiftly. Bradley has perfected the balance between making the reader want to slow down and think deeply about the layers of the novel and urging them to read on as their curiosity piques. Because of this skill, Chimpanzee is worthy of rereading to delve deeper into the darkly psychological realm that Bradley has deftly crafted.